If it&apos;s your first time walking down the streets of downtown Raleigh, a large group of people sitting rooftop might catch your eye. Better yet, maybe it&apos;s the downstairs patio, crowded and perfect for people watching during all times of the day. So, what attracts so many people to this place? Why, it&apos;s the city&apos;s "timeless local watering hole," otherwise known as The Raleigh Times Bar. This 100 year old building sits on one of my favorite street corners in downtown Raleigh, E. Hargett St. and S. Wilmington St. Street corners are where things come to life in a city, each corner having its own story to tell. The Raleigh Times Bar is housed in a building constructed in 1906. Not only does this building have such a rich history, but the owners of The Raleigh Times Bar have done their best to restore it to its original state. The building served as the headquarters for the once thriving newspaper of our city, the Raleigh Times. You&apos;ll find old newspaper clippings throughout the establishment, as well as photographs of memorable events and Raleigh natives lining walls of the bar. Perhaps my favorite photograph is a 1912 shot of the newspaper delivery boys, which spans a twenty foot wall at the entrance to the bar. Since this watering hole is named after Raleigh Times, the menus are designed to look like the old newspapers. You&apos;ll find an extensive beer menu including over 50 Belgian beers. 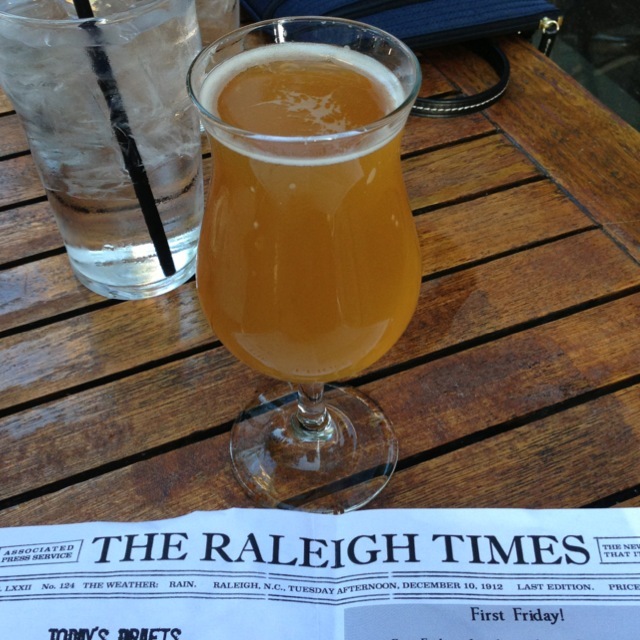 The Raleigh Times Bar also features a wonderful draft beer menu, changing daily to reflect seasonality and often featuring local N.C. beers. You&apos;ll also find a large menu with classic bar fare favorites, which serve to reflect the history of the building. The kitchen is open until 2am, perfect for late night snacking. The chefs use fresh ingredients to create their handcrafted menu items like the braised pork enchilada, beer steamed pastrami sandwich on rye and PBR battered fish and chips. The Raleigh Times Bar was recently renovated and now when you walk down S. Wilmington St. you can watch the chefs busy preparing delicious dishes in the kitchen. Beware, staring too long into the kitchen will result in salivation. 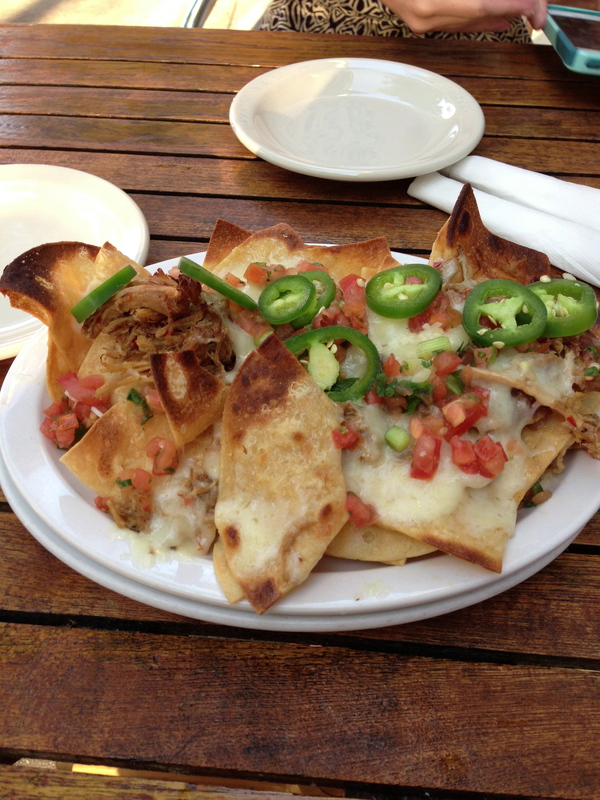 The Raleigh Times Bar is known for their pulled pork nachos among the Raleighites, also a staple of my diet. The crispy nachos are topped with fresh jalapeño, white cheddar, cojita, pulled pork, pico and sour cream. The small order is filling for one person and only costs $4.95. The nachos always pair nicely with a cold beer, no matter the time of day. If you&apos;re a Raleigh native, continue to support your local watering hole and bring your visitors to this iconic bar. 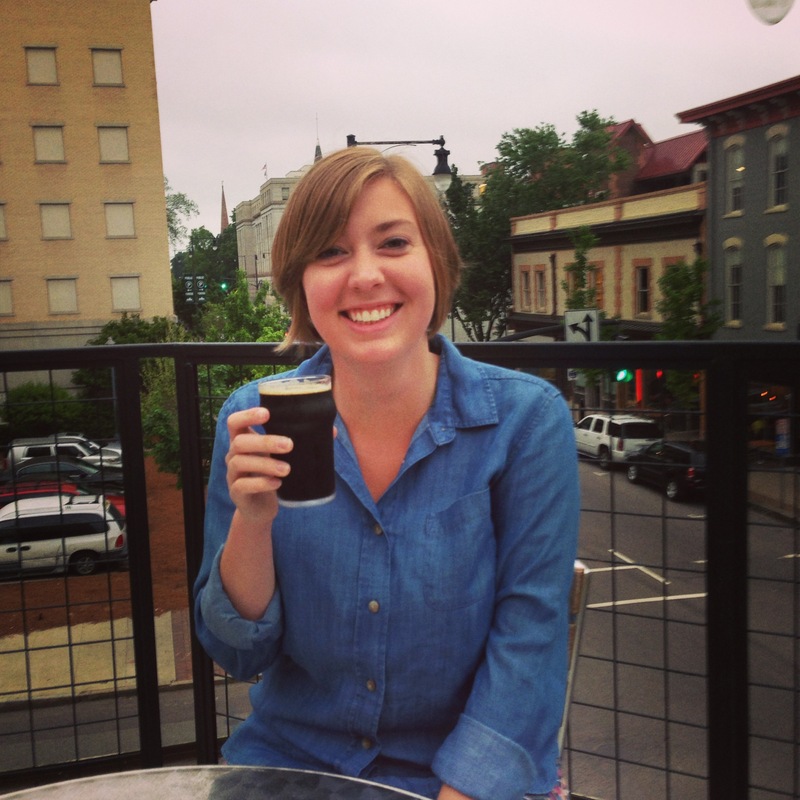 If you&apos;re new to the area or just visiting Raleigh, sit on the street corner with a beer and an open mind. 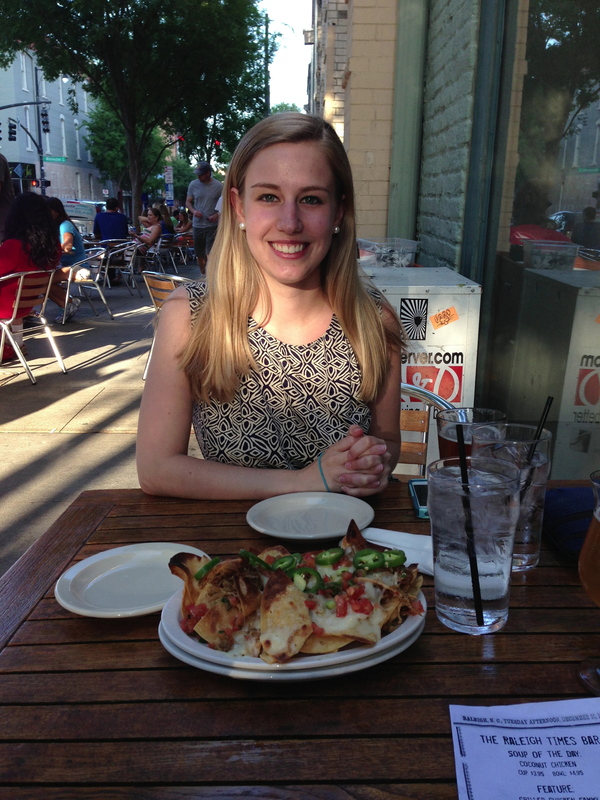 Watch the city come to life over a plate of pulled pork nachos at The Raleigh Times Bar.